Le Corbier resort opening date will soon be available. 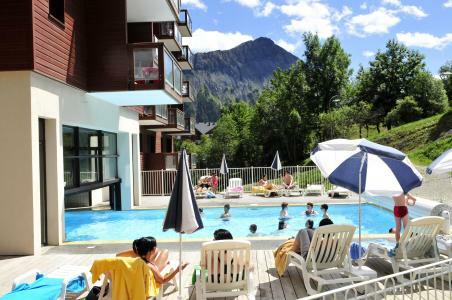 Le Corbier is a resort situated at an altitude of 1550m in the heart of the Arvan-Villards Massif (Savoie). It offers an exceptional 360° panoramic view towards Les Aiguilles d'Arves, the Etendard glacier, the Belledonne Massif and even the Meige. Le Corbier, Alps is the perfect location for nature lovers thanks to its large spaces. Activities available include: mountain boarding, horse riding, mountain biking, archery and for total relaxation the resort offers a swimming pool with jacuzzi, hammam... for an enjoyable stay at Corbier! Book your accommodation in to Le Corbier resort, a few steps from your favourite activity.